It's been unusually busy for a Friday, so sorry for the lack of bloggage. But I couldn't go home without mentioning the superb speech made by one lad in the House of Commons today, I think his name was James Evans. 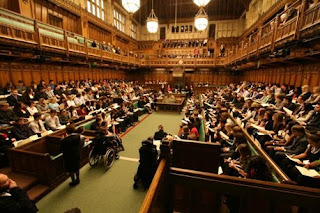 He was among hundreds of members of the UK Youth Parliament who invaded the Commons chamber to hold their annual meeting. They are the first non-MP group ever to hold a debate in there. "We can smoke with our MP, we can marry our MP, we can sleep with our MP. "We can sign up to the armed forces, fight and die for our MP, but we cannot vote for our MP. It's an absolute disgrace." I wasn't a fan of lowering the voting age, but I have to say his speech, and the attitudes and passion of the Youth Parliament generally has gone a long way to convincing me otherwise. Shame on the Tory MPs who tried to scupper this event earlier this year. I know this looks like a longy. But read on, it’s interesting. There was a story in the Daily Mail today to which there are a few hidden details which merit an airing. I actually thought the tale deserved a better show – it appeared at the bottom of page 19 and stated that a "leaked" e-mail had revealed ministers want to keep the DNA of innocent people on the national database for six years. A bit of background – the Government has a huge DNA database which holds profiles of many innocent people, including kids. Some angry people who had their DNA recorded by police despite never being charged with anything, took the Government to the European Court which ruled it was illegitimate for ministers to endlessly retain the DNA of innocents. 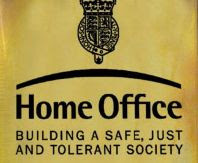 This blog revealed in March and showed again in April that then Home Office Minister Vernon Coaker was looking for ways around the European ruling, with the good old statutory instrument – a law which gets passed without a Commons debate – as the weapon of choice. In other words, ministers have been planning to retain innocent people's DNA for months. The "leaked" e-mail however, and I have seen the original, shows more than that. It reveals something that is as worrying as the Government’s desire to keep DNA. The document shows that officials have been tasked, and are working hard, to gather evidence to back the Government’s chosen view point – that innocents’ DNA should be kept for six years. I know it sounds benign, but actually it is very dangerous. It suggests there has been no investigation to find evidence to indicate whether it is a good idea to keep innocent people’s DNA. Rather than the results of an investigation informing the Government’s conclusion, they have reached their conclusion and are looking for evidence to back it up. It’s that kind of backwards decision-making process that leads to fiascos like the Iraq War's dodgy dossier. On a lighter point the e-mail was not actually leaked, at least not purposefully. It was sent by mistake from a Home Office official to a lobby hack who happens to bear the same name as another Home Office official. They tried to recall it several times in a panic, but it was too late. A wonderful gaffe. 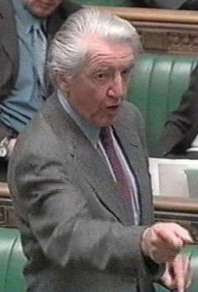 It seems there may be a backhanded plot to finish off Labour old-timer Dennis Skinner. The leftie, known as 'the beast of Bolsover', or just 'beast' to his friends, was apparently a bit miffed to discover that work was being done to remove asbestos near his office in the Houses of Parliament. While other MPs seem to have been evacuated from the area, Skinner was not moved or even told. All that finger pointing was always going to come back on him one day. 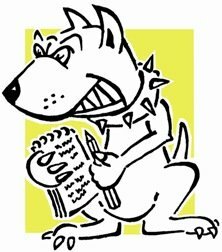 Old aquaintence of this blog Tony McNulty is being forced to hand back £13,000 of taxpayers' cash. He claimed the money to pay off the mortgage on his parents' home. He's also going to have to make an apology to the Commons at some point. 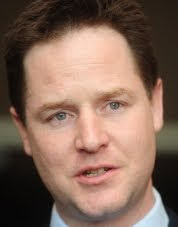 Nick Clegg told Lobbydog that he had to step up security earlier this month on a trip to Bristol after being warned of a plot against him. Fathers4Justice had apparently threatened to handcuff him, he wasn't sure exactly what to. Probably a man dressed as Sheera or something. But he also said it apparently happens quite a lot, he received another threat of sorts while in York previously. Perhaps he needs one of these. Imagine your postie walking up the garden path and instead of popping letters through the slot, booting the door down, stomping in and walking off with your flat screen TV. 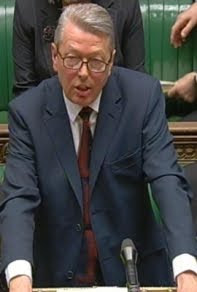 David Blunket brought in the Proceeds of Crime Act to claw back the luxuries of high ranking crime barons. It gives police the right to search peoples homes, seize their cash, freeze their bank accounts and confiscate their stuff. But now The Times is reporting Alan Johnson wants to extend the act to a whole range of public organisations. Councils might use it to get unpaid tax, Transport for London to get fare dodgers and Royal Mail – yes the same Royal Mail that can’t decide why it’s own workforce is on strike - will be able to use it for god knows what. The Government lost support when people found out they had put thousands of innocent people’s DNA on the national database. They lost support when they tried to push through laws that would let them lock people up for weeks without trial. They lost support when we found out anti terrorism powers had been given to councils so they could make sure we put the bins out on the right day. So what do they think is going to happen over this? Here is Cameron answering questions on Tony Blair and the EU presidency at his press conference today. He says he’d rather have someone who was more of a chairman than the “all singing, all dancing” president that Blair would be. But Bagehot asks whether Cameron really thinks Britain's interests in Europe would be better served by a foreign president than by Blair. Given that it seems we are going to have a president now, I’d say it’s a question that needs answering. For example, surely Cameron would have a better chance of sorting out the Common Agricultural Policy with Blair in position. Admittedly Blair would have only got the presidency with CAP-loving France’s backing, but having a Brit there has to count for something. Doesn’t it? Forget about the Miliband brothers, or the tussle between Johnson and Harman – I want to see Esther Rantzen and Joanna Lumley slog it out for the Labour leadership. The pair of fifty-somethings’ pin-up girls (I bet you like Lumley don’t you OldRightie) are among an elite group of outsiders who are at 500/1 to be the next leader. They are joined by spin-Dr Alastair Campbell, tax dodger Kitty Ussher, Broxtowe MP Nick Palmer and Blair, that’s Cherie not Tony. Just on a side note – imagine one Blair as Prime Minister and the other as President of Europe. In his first public speech since quitting as Black Rod, Lieutenant-General Sir Michael Willcocks recalled how ex-Lord Chancellor Charlie Falconer apologised to the Queen at the 2005 State Opening of Parliament for the over-long Queen's Speech written for her by No10. Geoff Hoon, Commons Leader at the time, chipped in limply: "We tried to take as much out as we could, Ma'am." HM snapped: "Well you didn't do a very good job, did you?"